Every part of Britain had a champion author, Wessex had Hardy, Yorkshire had Bronte and Dartmoor had Eden Phillpotts. He was/is a very elusive and multi-talented person who, in my opinion had the gift of portraying the landscape, people and spirit of Dartmoor better than any other writer. Apart from his works his footprint has been very feint in the annals of history which some will say is exactly how he would wish it. Today his books can fetch anything up to £800 for good condition first editions yet on the other hand many of them have been digitised and can be downloaded in PDF for free. But of the man himself his talents were far ranging, during his lifetime he was an author, poet, painter and playwright. Amongst his writings were mysteries, works of science fiction, fairy tales, essays, reminisces, magazine articles and his most famous, the Dartmoor stories. Each novel is set around a different part of Dartmoor and relates the trials and tribulations of ordinary Dartmoor folk along with wonderful descriptions of the various events and their moorland settings. The locations of each novel can be seen by clicking on the thumbnail opposite. Many of the characters are based upon the real life people he met whilst visiting the moor along with their various trades, occupations and traditions. Some of these ‘fictional’ characters were given names which can still be found on the various gravestones in the churchyards around the moor. Having returned to Devon, Phillpotts first moved to Torquay where from 1901 to 1928 he lived at Eltham, Oak Hill Road, he then moved to Broad Clyst near Exeter by which time the cycle was complete. It was whilst living in Torquay that Phillpotts became acquainted with Agatha Christie and was to become, in her early career, a mentor. It was also around 1922 that Phillpotts began using the pseudonym of Harrington Hext, a name he would continue with until 1925. By 1923 the last of his Dartmoor Cycle was published but his work was by no means finished. 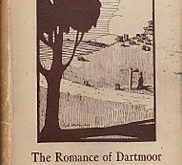 Further one-off Dartmoor novels were published such as; My Devon Year (1903), The Farm of the Dagger (1904), The American Prisoner (1906), The Poacher’s Wife (1906), Fun of the Fair (1909), The Judge’s Chair (1914), A Westcountry Pilgrimage (1920) and his autobiography – The Angle of 88 (1951). He also wrote several plays and poetry books also related to Dartmoor such as the play Devonshire Cream (1930). ‘At one moment the enduring and featureless fabric of the moor surrounds a chance spectator; in the next he stands startled before the silent company of the Lone Stones. Lifted here by the toil of a departed race, their mystery is hidden, their secret is shrouded perhaps for ever; yet those best skilled in prehistoric story judge that they stand for ceremonial, and suspect that within these circles the dead were brought for final rites of fire before they sank into their urns, to be deposited far from the homes of the living. Poignant terror of the departed belonged as a large factor to primeval superstition, and the monolith and menhir, cairn and its kist, lie on mountain tops or hollowed hills remote from the haunts of the quick. Their ossuaries were haunted, and primal man feared his ghosts, even as present men love them. Viewed on a day of late August against the purple background of Great Mis Tor, the Long Stones glimmered under sunshine and lacked much of that mystic and foreboding air that oftentimes hung over them at hours of fleeting mist, in morning and evening twighlights, or during the darkness of night and storm. Scarcely a cloud lower than the dreaming sirri of the firmament dimmed the September blue; the air danced along the immense planes of the Moor; cattle roamed far off, yet their frequent presence within the circle was manifest, for upon more than one of the old stones might be seen flecks of red, black and dun hair from the wandering herds that here are sometimes gathered to ruminate and rub their hides against granite. The circle continued its vigil of ages, subject only to Time’s tireless hand. It had witnessed events that living man may never learn. It had perchance seen the gathering of the clans and been rialto as well as a temple…,’ The Mother, 1909, p.93. Considering that this was published in 1909, Phillpotts had a remarkable understanding of the archaeological thinking of the time. I love his phrase where he describes the prehistoric ritual features as being located, ‘remote from the haunts of the quick‘, again a very accurate description. But even more evocative is how he describes the flecks of cattle hair caught on the rough granite stones. This small detail can only come from someone that has actually visited a stone circle and inspected it closely, then more to the point remembered it. Day, K. F. 1981. Eden Phillpotts on Dartmoor, Newton Abbot: David & Charles Publishing. was printed in the 1930’s and lo and behold in this book of short stories was ‘Peacock House’ by Evan Philpotts ! It was a great read! just to point out, in the introduction to your page you have attributed the BRONTES to the Lake District!!!!!! Wrong… they are from YORKSHIRE!! it might be a good idea to correct this, Thanking you in anticipation.